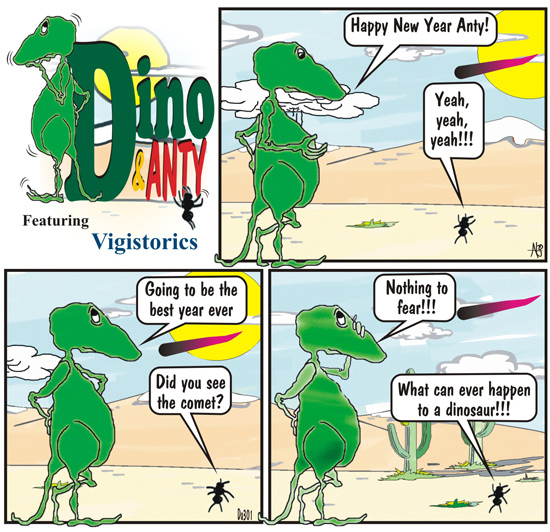 For more Dino & Anty, HERE! Anty is wise! What can happen is that we go the way of the dinosaurs which will mean the end of our world but not necessarely the end of the world as we found out on December 21, 2012.